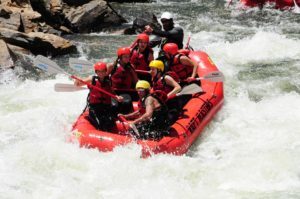 The Arkansas River is America’s #1 whitewater river, and at Raft Masters, our #1 priority is providing you with the finest Arkansas River rafting trip possible. Our attention to your comfort, safety and enjoyment is reflected in our guides and equipment. We only have the best for our guests. 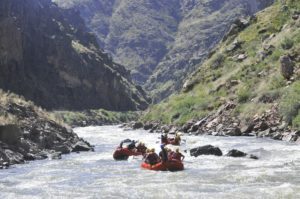 In addition to our state-of-the-art rafts and skilled guides, Raft Masters is the only company that always includes wet-suits, boots and splash jackets on all trips at no extra charge.